We had the opportunity to facilitate a review for LED Lights from RTGS Products in exchange for an honest and unbiased review. My 11 year old son just started sleeping in his own room. He's always been with one of his older brothers, but being teens we decided it was time for them to have their own space. My little guy seems to be a little nervous about being alone. When RTGS offered to send us their new version 100 LEDS String Lights for a review. I thought this could be a perfect solution. 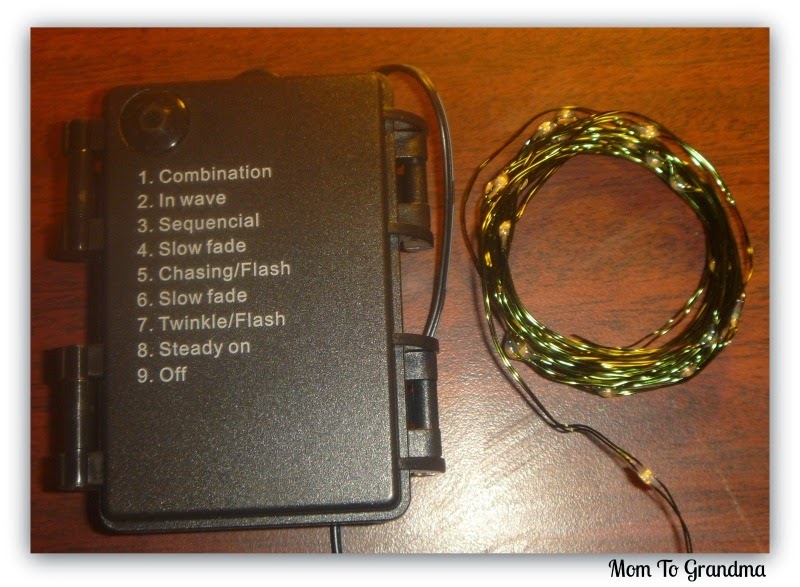 RTGS newest version of LED lights are super bright, warm, white colored set of 100 lights that plug in on a 32 FT long Silver, ultra thin string wire. There is 4 inches of distance between LED bulbs, and 10 FT clear cable between wire and transformer. The total string length is over 42 Feet! I like that the ultra thin, sturdy wire is bendable for however I'd like to hang them, and the LED lights are totally submersible, except for the transformer. The custom made AC to 7.5V DC transformer is small, lite and clear. It's the smallest on the market. The lights have over a 20 year life, that is over 30,000 hours of light. 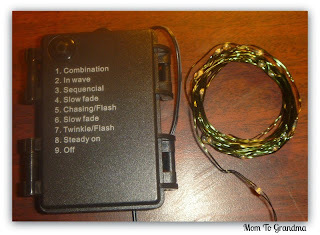 The LED Lights use a fraction of the energy needed by regular light strings. Which can be a good thing, using them in my son's room I'm sure there will be times he forgets to turn them off. They are much brighter than fairy lights and starry lights. The 100 Micro LED String Lights are perfect to use as a lighting addition to any decorative project. In fact I have a couple great ideas to implement them in my son's room. If I decide to use any of the ideas I will add a blog post and pictures. The transformer is very small and easy to hide. Have you ever had those light strings that have the huge ugly transformer, and there is no place to hide it. The LED lights can be used inside or outside, their super bright, beautiful and flexible. RTGS Products was launched in 2009 with a simple objective to offer a selection of lighting products of the highest standards of creativity, passion, and quality. Their standards are simple, their LED lights must be beautiful in design, simplicity, and be strong in construction. They must create a magical atmosphere. They are constantly expanding their product lines and are always innovationg unique and creative products. RTGS offers 100% Satisfaction guaranteed, and a 2 year warranty. RTGS Products is exclusive designer, manufacturer and seller of RTGS lights. Unfortunately, there are other sellers that use the RTGS Trademark and pictures illegally to sell their low quality products. They ask that you please not support that. The passion of RTGS is light. Their mission is to create a better world through great lighting design and energy efficient LED technology. Customers use the versatile LED lights for a range of endeavors, from traditional uses such as building model airports with LED lit runways and beautiful costumes. The LED lights from RTGS are high quality, super bright, and will make any lighting project I decide to do in my son's bedroom beautiful! I think the prices and the free shipping make these great lights affordable. Are you doing any Christmas projects that involve a string of lights? Look at what RTGS offers! They are well worth it! You can connect with RTGS Products via Facebook , Purchase , Website and Amazon .